While the summers in Des Moines are warm and pleasant, when fall ends, winters can be harsh and severe. If you’re a motorcyclist, then you probably already know that when winter hits, making sure your motorcycle has been winterized and stored safely is important for keeping it in great condition. If you’re new to storing a motorcycle during the cold months, this article discusses the steps you need to take. While you might think that leaving your tank empty over the winter is optimal for safe storage, you need to top off your tank with fresh fuel and fuel stabilizer before packing it away for the cold months. After you’ve filled up on fuel stabilizer, run the engine for a few minutes to allow the stabilizer to filter through the engine. In addition to making sure that you have plenty of fuel and stabilizer in your motorcycle, you should also double check all of your other fluid levels, too. Because Des Moines can drop below freezing, adding antifreeze to prevent your engine from freezing is essential as well. Oil can absorb combustibles and other injurious substances, so make sure you change out your oil prior to winter storage. This is one of the most essential things you can do to keep your motorcycle in good condition, according to a blog on Winterizing Tips published by Harley-Davidson. Changing out your oil filter is equally as important. When storing a motorcycle for winter, motorcycle batteries have a tendency to run out of juice with all of that inactivity and cold. To keep your battery in tip-top shape, you have two options: (1) you can store your bike with battery intact, as long as the battery is fully charged prior to storage, and under the condition that you charge the battery once a month; or (2) you can remove the battery from your bike and trickle charge it throughout the winter. The latter option is usually the easiest. Motorcycles are heavy, and storing a bike on its wheels can create flat spots on tires. While storing the motorcycle off of the ground is ideal, most people don’t have this option. In order to keep the tires from going flat on one side, fill up the tires to the motorcycle’s specified PSI prior to storage, and plan to rotate the tires at least once a week. While washing and waxing your motorcycle might seem like a nonsensical thing to do right before you plan to store it for a few months, it actually has more than just a superficial purpose. Washing and waxing a bike can actually help prevent corrosion from occurring over the winter, as any moisture that accumulates (which is common for metal) can cause rust and other harmful corrosives. By washing your bike well to remove all dirt and debris, drying it off completely, and then adding a layer of wax, you’ll help to keep your bike free from damage. In addition to waxing, make sure you spray your pipes with some WD40 to help keep the moisture away for the season. Once you’ve primed and prepped your motorcycle for winter storage, the last step is finding a safe spot to park it over the cold season. Putting a cover over the bike is always ideal, but if you don’t have a cover, aim for a location that’s free from moisture and doesn’t get a lot of sunlight. The National Highway Traffic Safety Administration also advises that motorcycles should be stored away from any ozone-producing appliances (things with electric motors). If you’re a motorcyclist that’s been involved in an accident caused by someone else’s negligent actions, an attorney can help to get you the compensation you deserve. At Walker, Billingsley & Bair, we can assist you in filing a personal injury claim, and will fight for your rights as an accident victim. 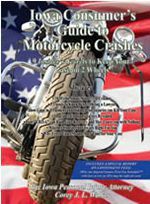 If you would like to receive our book about Iowa motorcycle accidents called “Iowa Consumer's Guide to Iowa Motorcycle Crashes" which describes Iowa motorcycle accident cases, including the 10 Myths About Motorcycle Accidents and Crashes, click on the link or Call Now (800)-707-2552, ext. 215 (24 Hour Recorded Message). Why offer a Book at No Cost? Iowa personal injury attorney Corey J. L. Walker has represented hundreds of Iowans in car and motorcycle accidents and has seen too many clients from Des Moines, Pella, Newton, Ft. Dodge and throughout the state of Iowa make mistakes which cost them thousands of dollars in their motorcycle accident case. 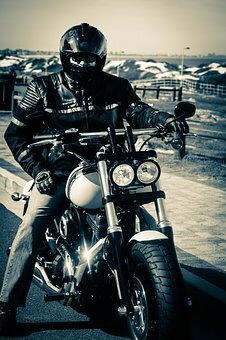 Iowans hurt in motorcycle accidents are beginning to realize that the insurance company is not there to help them and that they should learn about Iowa's laws and how they affect their motorcycle accident case. For immediate assistance, contact us online or call 515-440-2852 and ask for Corey.